1 Unity Auto Garage,Kampala Road, Industrial Area Box 49652-00100 Nairobi Mr M. I. Rashid- Managing Director Mr Shazan Rashid- Director/ W/shop In-charge 0722511028 / 0721206033 unitygarage@yahoo.com iqbalrashid407@yahoo.com Free towing services within Nairobi. Free storage upto 60 days. 3 Ace Auto Centre, Gilgil Road Off Enterprise Road, Industrial Area Box 2789 – 00100 Nairobi Mr. Kabiru – Workshop Manager 0720782896 info@aceautocentre.com Free towing services within Nairobi. Free storage upto 60 days. 4 Haji Motors, MSA Road, behind Vision Plaza P.O. Box 63140 – 00619 Nairobi Mr. Okumu – Workshop Manager 0722519008 hajimotors@yahoo.com Free towing services within Nairobi. Free storage upto 60 days. 5 Solex Motors, Addis Ababa Road Industrial Area Box 38646-00623 Nairobi R.S. Bamrah – Director 0733518340 solex@wananchi.com Free towing services within Nairobi. Free storage upto 60 days. 6 Motor Mania, Dunga Close, off Dunga Road P.O. Box 3397-00200 Nairobi Silas Mbiuki – Workshop Manager 0722685044 motormania@bidii.com Free towing services within Nairobi. Free storage upto 60 days. 7 Joginders Auto Garage P.O. Box 49485 – 00100 Nairobi Mr. Babu 0734838022 jogindersauto@gmail.com Free towing services within Nairobi. Free storage upto 60 days. 8 Spraymaster Ltd, MSA Rd, behind Odds & Ends P.O. Box 21421 00505 Nairobi Mr. Sunny Dhanjal 0722511689 / 020-536132 Free towing services within Nairobi. Free storage upto 60 days. 9 Stephens Auto Engineering Works Lusaka rd, Opp. City Stadium P.O. Box 18857 – 00500 Nairobi Stephen Waweru 0722520075 stephens.garage@yahoo.com Free towing services within Nairobi. Free storage upto 60 days. 10 Suba Motors Limited Eastern Bypass Utawala Opp. AP Training P.O. Box 9109 –00300 Nairobi Joseph Opili – Director 0720934446/ 0725939909/ 0203588290 subamotors@gmail.com Free towing services within Nairobi. Free storage upto 60 days. 11 Autofine Limited P.O. Box 10224-00100 Nairobi Mary Wairimu-Marketing Director 0722521988 /0734521988 info@autofine.co.ke Free towing services within Nairobi. Free storage upto 60 days. 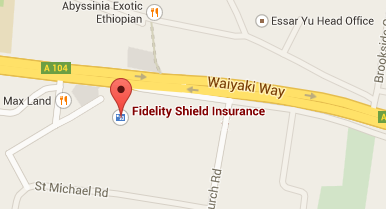 12 Concorde Motors, Argwings Kodhek Rd, Hurlingham P.O. Box 48251 – 00100 Nairobi Mr. Farhat Shah 0722905338 / 0733663461 workshop@concordemotors.co.ke Free towing services within Nairobi. Free storage upto 60 days. 13 Extreme Auto Centre Limited, Ngong Road P.O. Box 52750–00100 Nairobi Shonu Dhanjal 0701555151 /0733555151 extremeautocentre@gmail.com Free towing services within Nairobi. Free storage upto 60 days. 14 Autoskill Limited, Solai Road, off Baricho Road Box 48373-00100 Nairobi Mr. Jitu – Director Mrs. Shilla 0722328666 autoskill@wananchi.com Free towing services within Nairobi. Free storage upto 60 days. 15 Kineticar Auto Garage, Off Eastern Bypass Ruiru Box 1982 – 00232 Ruiru David Wainaina – Director 0710300955/ 0721478163 / 0722481455 info@kineticar.co.ke Free towing services within Nairobi. Free storage upto 60 days. 16 TJ & U Auto Garage Buruburu Phase 1 Along Rabai Road P.O. Box 48993-00100 Nairobi Mr. James Thuo 0202501972/ 0721222585 info@tjanduauto.com Free towing services within Nairobi. Free storage upto 60 days. 17 A-One Auto Services Ltd Opp. Nakumatt Highridge 3 rd Parklands Avenue P.O. Box 22098 – 00400 Nairobi Mr. Minesh Rathood 0722521446 enquiries@a-oneauto.co.ke Free towing services within Nairobi. Free storage upto 60 days.